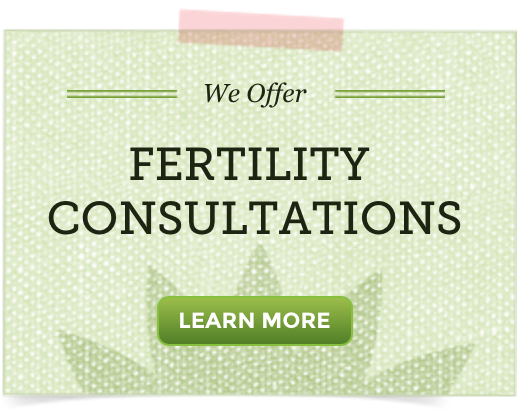 Ladies, are you considering Metformin on your fertility journey? Metformin has become a household name for women with insulin-resistant PCOS, but is it the only choice? This article discusses Metformin, its possible side effects and natural alternatives to explore with your health care practitioner. While some women require drug treatment for high blood sugar levels and insulin resistance common to PCOS, others do well with a natural approach, using diet and exercise along with specific herbs and supplements. Metformin belongs to a class of drugs called biguanides. Metformin decreases the amount of glucose produced by the liver, thereby lowering blood sugar levels. Through this action, it can also help the body respond better to its own insulin. Metformin is often the drug of choice for PCOS and diabetes, as it is less likely to cause dangerously low blood sugar reactions compared to other drugs. Note: Rash or chest pain with Metformin can be warning signs of a serious reaction. People with kidney problems should avoid Metformin as it could cause a rare, but dangerous side effect called lactic acidosis. Always speak to your doctor if you experience side effects or have concerns about the medications you’re using. Important: If you’re using Metformin, be sure to talk with your doctor before trying natural alternatives. Many herbs and supplements that help to lower blood sugar are contraindicated with PCOS drugs. The most effective approach to manage PCOS is making healthy changes in diet and lifestyle. Following a PCOS Diet along with regular exercise helps to lower blood sugar levels, promote normal weight management and balanced insulin levels. Committing to dietary changes and regular exercise is challenging, but the rewards are worth it! Important PCOS diet tip: Try to eat 5 smaller meals spread throughout the day to help the body keep blood sugar levels balanced. Gymnema (Gymnema sylvestre), sometimes called the sugar destroyer, interferes with the body’s ability to taste sweet flavors. Further, it helps support normal blood sugar levels and insulin sensitivity. A 2001 study published in Diabetes in Control Newsletter found an extended release gymnema preparation improves glucose control in Type 2 diabetics. Gymnema sylvestre is widely available in teas, capsules, and extracts in natural food stores. Chromium picolinate is an essential mineral that can help reduce cravings for sugar and improve insulin sensitivity – a problem for many women with PCOS. A 2009 study published in the journal Diabetes, Obesity and Metabolism found chromium supplementation enhanced insulin signaling in diabetic mice. While more research is needed, the early studies are promising. General dosage: 200-400 mcg daily. A 2014 study published in Gynecological Endocrinology shows both Myo-Inositol and D-Chiro-Inositol help normalize insulin resistance for women with PCOS. As insulin levels become balanced, ovarian function, egg quality, and menstrual cycle health can improve. Suggested use is to take 2-4 500mg capsules daily as needed. A 2012 study published in European Journal of Endocrinology shows berberine has similar insulin normalizing benefits as Metformin for PCOS but without the side effects. Further, berberine was superior to Metformin in reducing other risk factors like waist circumference and waist-to-hip ratio. Berberine naturally occurs in plants like Coptis (Coptis chinesis), Oregon grape (Berberis aquifolium) and Goldenseal (Hydrastis canadensis). It has been long used in TCM for its anti-diabetic effects. PCOS – A Challenge That Can Be Met! PCOS may seem insurmountable. Yet, it can often be managed with diet and lifestyle. Metformin can benefit some women with insulin-resistant PCOS, but not all women with PCOS-related infertility need it. Ask your doctor questions and explore natural alternatives when possible. Starting with diet changes is a great approach! Monitor your blood sugar often to see how your program is going. Stay educated and informed on all of your options!